Last edited by C. Hecht on Thu Oct 26, 2017 11:40 am, edited 1 time in total. 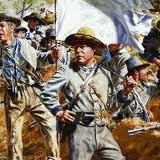 I am interested in playing Campaign Ozark's: The Battle of Pea Ridge. I have updated the game to version 2.01. Set it up and send it my way to: Cunningham.dwain@yahoo.com. I look forward to it.